The official Alys Beach website, which notes they use ‘Bermudian architecture, says, “From the moment one views the iconic butteries and towering palms lining the center of our beach town, there is an unrivaled sense of escape. 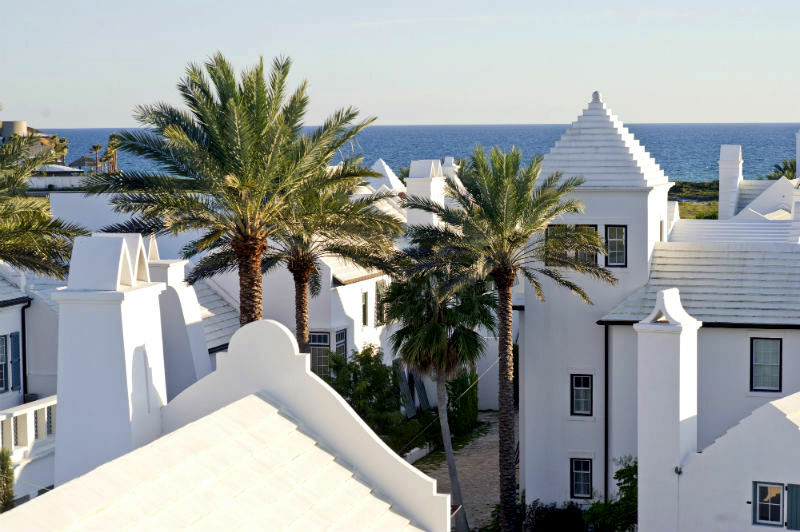 “Alys Beach is carefully crafted to celebrate the public realm of streets, parks, pedestrian paths, and great civic buildings in a manner reminiscent of the world’s most beloved seaside towns. In recognition of the strong draw of the sea, our streets orient to the beach, guaranteeing views to the Gulf and cooling sea breezes. A Palm Beach writer who toured the development was less than impressed, writing, “The Alys Beach marketing coordinator who gave me a tour said the inspiration for the community was Bermuda and Antigua, Guatemala. While the development lacks the pastel colours our houses are known for, they do bear a resemblance to Bermuda houses, and the surrounding roads often have Bermuda inspired names, such as Somerset Street, Spice Berry Alley, Hogpenny Alley, Camden Estate Alley, Moongate Court, Sea Venture Alley, Castle Harbour Drive, Longtail Road and Elbow Beach Road. 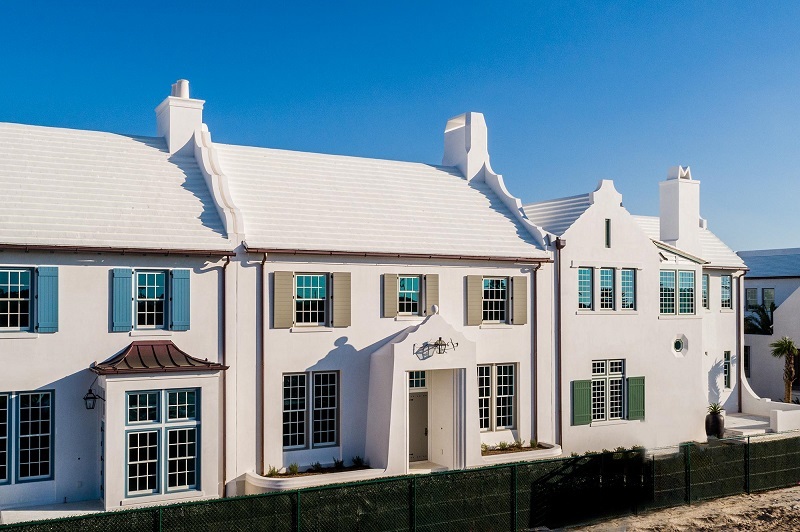 Another aspect the development — which is reported to have over 100 homes with more planned – has in common with Bermuda is the high cost, with some of the properties listed for sale with prices in the millions, while vacation rentals are listed from $240 per night. I wonder if they use block or are they wooden construction? .Otherwise they do look really nice with all the best architectural features in one tight-knit area. Imitation is the sincerest form of flattery. That is good. Pity our building style is not copyrighted/patented. I think it gives that Bermuda feel. They really should paint them in mild/soft pastels though. Wondering what the interiors look like? Do the rooms have tray cielings. Are the whitewashed stepped rooftops functional ie. used to catch water and store water in near the house in a large tank? It is often said that design and function have no common ground where the architects pen has no architectural artistic excuse for existing, as bread and butter 200 room concepts continue to deform our country side. All we can do is emplode them. 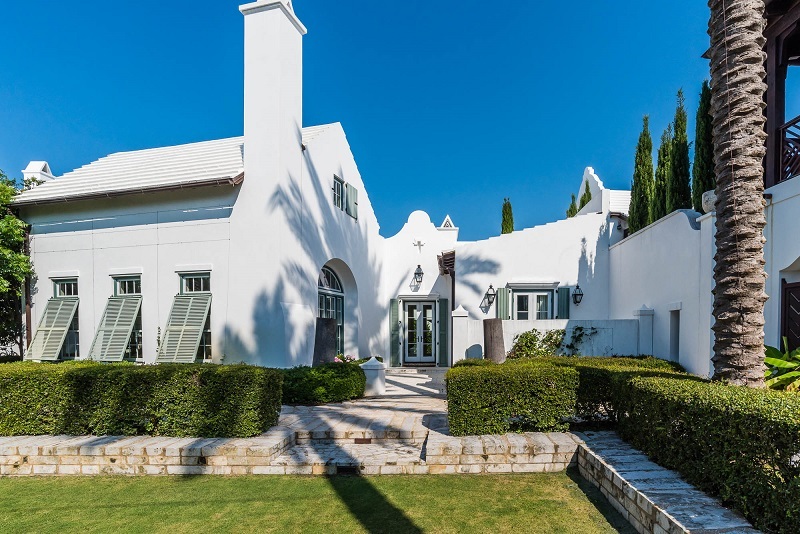 Over the past 60 years I have seen the steady decline in the architectural presence in this country, the classic look; legacy and charm of our domestic buildings has been lost to a colection of rooms . The South road Grand Atlantic for example has to be one of the bigest architectural and engineering mistakes in poor judgement in Bermuda’s history, and that is not the only one financed by the national debt. Similarly, some the buildings the City of Hamilton take the form of over grown topsy turvy Bermuda cottages like the City hall as a classic example of lack of foresight, with no room for expansion or progress unless the Bermuda slate roof is remove. “When we build let us think that we build for ever not for present delight alone”. City Hall was designed by Will Onions , Bermuda’s own version of the iconic American architect Frank Lloyd Wright . Some of the most beautiful houses in Bermuda in terms of scale and unique Bermudian features were designed by Will Onions . Caroline Bay which springs to mind. Honestly we couldn’t have found a name that captures the beauty and mystique of Bermuda? That particular name (and pronunciation) was meant to attract a wealthier type of clientele. Well that did not work did it?! ?